Energy Procurement: Companies spend a significant amount of money on energy without understanding if there is a more cost effective strategy for them. We exist to help you save money. We provide expert electricity intelligence so that you can make informed decisions. Efficient Energy manages the supplier client relationship for you with the sole intent of taking advantage of the competitive energy marketplace to reduce your cost today and in the future. Online Reverse Auctions: Efficient Energy invites the most competitive energy suppliers in the market to bid for your company’s electricity needs. The process is fair and transparent and challenges which benefits suppliers who want to win more business and challenges the entire market to offer competitive rates. This allows you to make intelligent energy procurement decisions. 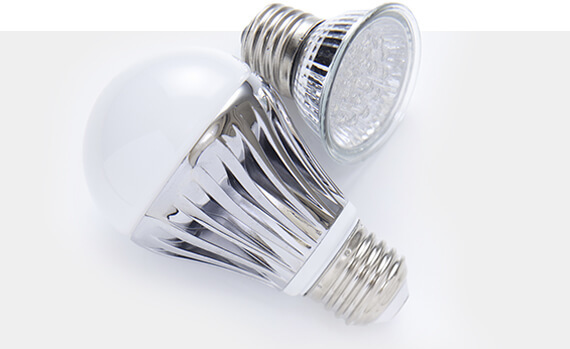 LED Lighting Retrofit: We have the experience to retrofit you lighting needs. We start by performing a comprehensive lighting audit at no cost. We then review in detail the savings proposal and lastly we implement and you enjoy the savings. We make it that easy! Renewable Energy Efficient Energy’s renewable energy consultants work with you to identify, develop, and implement renewable energy initiatives to improve the energy efficiency of their building. Renewable Energy Consulting services can be provided as a stand-alone service or an integrated component of your project. Power Factor Correction Power Factor is a measure of how efficiently power is used. The more efficiently you consume your energy, the higher the PF and the lower your costs. The more inefficient systems operate; the lower your PF. We help you correct your PF when possible. This helps you reduce your costs but also extends the life of your equipment. Tariff and Bill Analysis Efficient Energy consultants perform a detailed tariff and bill analysis to uncover savings opportunities.